Maureen Finucane is a self-taught artist who, after many years of family and job commitments decided to take up a new career as a freelance artist. Such is her versatility that she has experimented in many different media such as water colour and oils but has decided that pastels are her favourite medium. 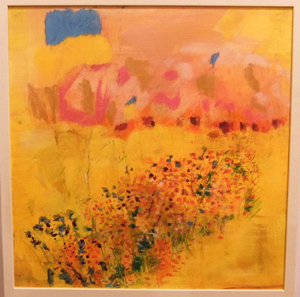 In February 2012, her pastel titled “Poppies” was selected to be exhibited in the Mall Gallery annual Pastel Society exhibition. Apart from that, she has exhibited widely in the West London area in several prominent galleries and has participated in the annual Richmond Arthouse event. To see more work by Maureen, you can visit her Viewbook website.